Funeral arrangements are as announced by her family. 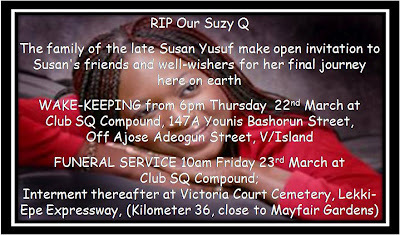 Until her death, she was the owner of Suzy Q. She was murdered on Friday, February 10, 2012 in her 1004 apartment.